This is part of an ongoing series by Ken Hensley. Read Part I. After coming to the conclusion that the New Testament authors did not teach sola Scriptura, the next question for me was: What about the early Church? What about those Christians living in the decades and centuries immediately following the Apostles? How did those closest to the apostolic age think about the relationship between Scripture, tradition and the authority of the Church? How did they imagine inevitable disputes within the Church would be settled? Did they practice sola Scriptura? I wanted to read the writings of the earliest Church Fathers and see what they might have to say about this whole issue. But before I had taken even the merest glance at Clement of Rome, Ignatius of Antioch, the Didache, or the Epistle of Barnabas, three simple observations had already led me to doubt that sola Scriptura could have possibly been the faith of the early Christians. 1. The first observation ties the question of history into the issue of Scripture. For me, evidence that sola Scriptura was not in the minds of Christians living in earliest days after the Apostles is that there isn’t a hint in the writings of the Apostles that it would be. As mentioned in the previous installment, while the Apostles were alive, authority within the Church — and by that I mean infallible authority, binding authority, not the sort of authority pastors and denominational statements of faith have within the Protestant world — was found in (a) the inspired writings (Scripture), (b) the oral teaching of the Apostles (Tradition) and (c) the decisions made when the leadership of the Church met in council to settle disputes and define Christian teaching (Magisterium). In other words, during the time of the Apostles, Christians were not “Bible only” Christians and local churches were not “Bible only” churches. This much was beyond dispute. Given this, it seemed reasonable to me that, if the Apostles had it in their minds that once they had passed from the scene, this entire pattern of authority for the Church would change and Scripture would become for Christians and Christian churches everywhere the “sole infallible rule of faith and practice” — surely they would have prepared their disciples for such a fundamental change of policy. Surely they would have said something. And yet, they didn’t. 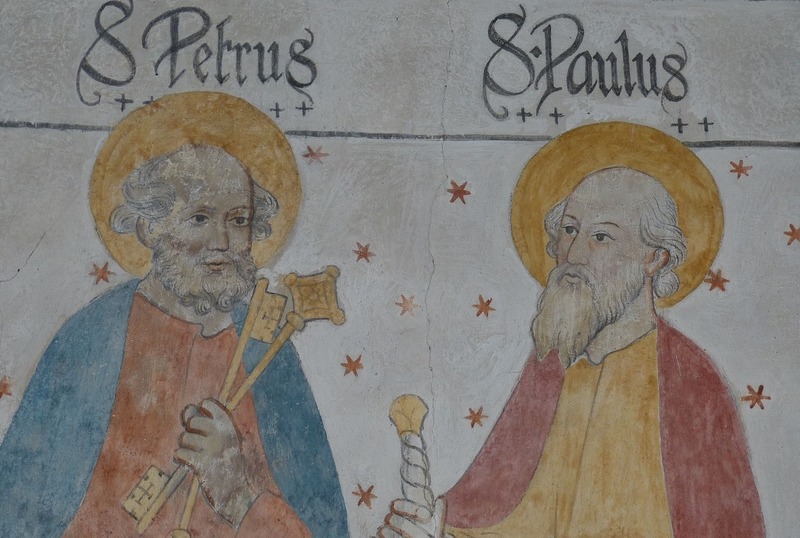 Instead, from what I could tell, the Apostles seemed to believe that the substance of their teaching would be preserved by the Holy Spirit in the Church, through a process very much akin to what I knew Catholics referred to as Apostolic Succession. When commissioning His Apostles, Jesus had said, “As the Father has sent me, even so I send you” (John 20:21). As the Apostles went out to teach with divine authority, and establish churches, they seem to have believed that the truth of what they taught would be protected and passed down as their successors in the ministry held fast to the good deposit given them, guarded it by the Holy Spirit, and carefully handed it on in turn to their successors (see 2 Thessalonians 2:15, 2 Timothy 1:13–14 and 2:1–2). This was the apostolic mindset, in the light of which it seemed unlikely to me that sola Scriptura would have been the mindset of the earliest Christians living immediately after the Apostles. 2. A second observation that seemed to me to weigh heavily against the idea that the early Church was thinking like a Protestant Church, was the simple fact that the Church took so long to formally define the canon of Scripture. I’ve found that most Evangelicals have no idea that in the earliest centuries of Christian history, about twenty-five percent of our present New Testament was to one degree or another in dispute. Most also have no idea that the Church waited nearly four centuries to formally decide the issue and provide a list of exactly which books would be included in the Christian Bible. But it’s true. And even then, when the decision was made at Church councils held in Rome (AD 382), Hippo (AD 393) and Carthage (AD 397 and 419), it was in response to heresies that required a formal definition of inspired Scripture be made! There were the Marcionites, who attacked the integrity of the New Testament, trimming away books and sections of books considered “too Jewish.” There were the Gnostics, who attacked the meaning of the New Testament with their New Age-style interpretations. Finally, there were the Montanists, who attacked the extent of the New Testament, claiming to receive new revelation from God. The issue of the canon simply had to be settled. In other words, if it had not been for this situation, the Church might have waited even longer to decide. It might have gone on forever without feeling an intense need to settle the question definitively. Now, here’s the point: while it seemed strange that the Church wouldn’t have moved more quickly to define the canon of Scripture, its behavior is at least understandable on the Catholic premise that it wasn’t thinking of Scripture as its “sole and sufficient infallible rule of faith and practice,” that it didn’t view the Bible as the “be-all and end-all” of its ability to know and preserve the apostolic teaching. On the other hand, to my mind, the Church’s behavior here made no sense whatsoever on the Protestant premise that the early Church was a church committed to sola Scriptura! In the early history of the church there were events and people that gave impetus and rise to the formalization of the canon list. These things could be viewed as being used of God to prompt his people, the Church, to give serious consideration to providing to all concerned a listing of the books which the Church, under the direction of the Holy Spirit, received as authoritative. What? A church (as White believes) committed to sola Scriptura waits four hundred years to finalize its list of authoritative books? And even then, God has to use “events” to “prompt” the Church to give “serious consideration” to providing such a list “to all concerned”? What? As though there were some who were not concerned to know for sure what to include in their Bibles and had never given the idea a moment’s consideration? White describes all this in such a casual fashion — as though the scenario he’s painting makes even one bit of sense! All I can tell you is that, if I were a bishop in the time of Peter and Paul, and I believed that, after their death, what the Apostles had written would become the sole rule of faith and practice for the Church, I would have been “concerned” from the day the first Apostle showed up with a cough and congested nose. By the time I attended my first apostolic funeral, I would not merely have given “serious consideration” to providing my churches with a list of apostolic writings, the single burning concern of my life would have been the work of identifying and collecting such a list! 3. The third observation I made, and that led to me think sola Scriptura was not the faith of the early Church, was the observation that the earliest Christian Creeds say nothing at all about Scripture. Now, I wouldn’t expect the earliest creeds to say everything. But if sola Scriptura had become, with the passing of the Apostles, the very foundation of the Christian worldview, the sole infallible authority for all Christian teaching, both doctrine and morals, you might expect the Bible to at least be mentioned. When you look at the various Creeds and Confessions that came out of the Reformation, you notice something right away: if they do not actually begin with a strong statement of their commitment to sola Scriptura, they are sure to get to the subject in fairly short order. For instance, the 1647 Westminster Confession of Faith, the historic confession of the Presbyterian Church, begins with a chapter titled “Of the Holy Scriptures,” in which the sole inspiration, authority and sufficiency of Scripture is spelled out in the clearest of terms. The Baptist Confession of 1689 begins in the same way. Now, while the Belgic Confession of 1561 begins with a brief article stating belief in God, this is immediately followed by six articles on Scripture, culminating in an article asserting Scripture’s sole authority and sufficiency for faith and practice. And of course this makes perfect sense. 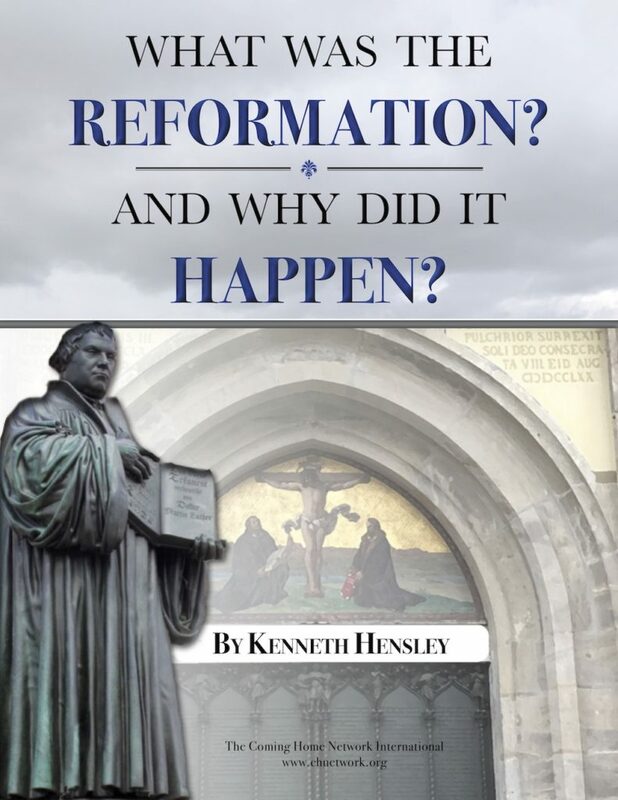 After all, the Reformation was all about rejecting the authority of the Catholic Church and standing on the principle of sola Scriptura. I wouldn’t expect the early Church to have felt the need to stress Scripture in the same way. But when I looked at the earliest creeds of the Church, what I found striking was not merely what they don’t say, but what they do say. Same with the Nicene Creed, which came out of the first ecumenical council in Christian history, the Council of Nicaea (AD 325). While this creed contains an even more expanded article on the Church (“I believe in One, Holy, Catholic and Apostolic Church…”) again there isn’t a word about the inspiration and authority of Sacred Scripture. Not a single word. Now, given my worldview as a Protestant — a worldview in which the Bible formed the very foundation — it would have been hard for me to even imagine a confession of faith that would not begin with some statement about the inspiration and authority of Scripture. How strange, then, for me to read these ancient creeds, and rather than see Christians described as those who believe the Bible, see them described as those who believe in the Holy Spirit and in the one, holy, catholic, and apostolic Church! And here’s the point: assuming the early Church was a Church committed to sola Scriptura, the emphasis of these creeds was hard for me to understand. It didn’t seem to fit. On the other hand, I could see how what I found in these early creeds was entirely consistent with the Catholic conception, where the emphasis is not on the Bible alone but on the teaching of the Apostles, the “deposit of faith,” being preserved by the Holy Spirit within the Church and passed down within that same Church. Before moving on, I should say that I never saw these points as constituting a proof of the Catholic position. Instead, I saw them as providing evidence of a mindset that I had to admit fit the Catholic worldview much better than it did the Protestant. The fact that: (1) the New Testament authors don’t give any hint that Christianity is soon to be moving from a platform of Scripture, Tradition, and Magisterium to that of Scripture alone; (2) that we don’t find the bishops of the early Church focused like laser beams on assembling an authoritative New Testament canon; (3) that the earliest creeds talk about the Church and the Holy Spirit, but don’t bother to even mention the Bible — all of this fits the Catholic mindset. None of it really fits the Protestant mindset. But the strongest evidence of all that sola Scriptura was not the faith and practice of the early Church is what came from reading the early Church Fathers themselves.